In January 2018, four students attending Virginia Theological Seminary embarked on a Cross-Cultural Education Program (CCEP) which included a visit to Coventry Cathedral. They made a video about their journey and also maintained a travel blog which you can find here: A Place of Lumpy Crossings:Exploring Models of Reconciliation in Northern Ireland and England. 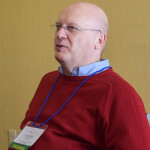 The Board of the Community of the Cross of Nails-North America will gather in Miami, Florida on Thursday and Friday February 1-2 for its annual meeting and then a group will journey to Cuba from Saturday February 3 – Saturday February 10. 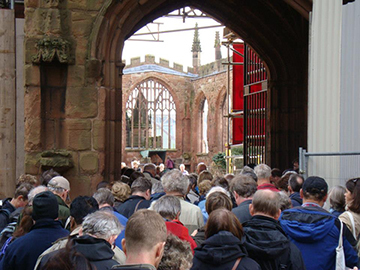 From the beginnings of the Coventry story after the bombing of the cathedral in World War II, healing divisions has been at the center of its work of reconciliation. From the U.K. and Germany, Palestine and Israel, and South Africa, the work involves deep listening, sharing stories, and face-to-face truth-telling encounters. The hope is that this work will allow for the healing of history’s wounds to bring closer those nations and peoples separated by past wars, conflicts and distrust. The first portion of the experience will be based in the Little Havana section of Miami. Our intention is to meet with Cuban Americans of different generations whose lives were impacted by the 1959 Cuban Revolution and subsequent waves of hundreds of thousands of Cuba émigrés to the U.S. For decades an influential core of the Cuban American community in Miami has opposed any rapprochement of the U.S. with Cuba under Castro rule. 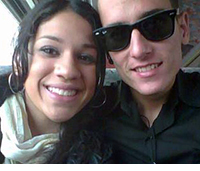 Many believe that younger generations of Cuban American are changing their views about Cuba. Looking towards a future that is still in question as diplomatic openings under the Obama Administration are reviewed and Cuba’s economy continues to decline as Venezuela spirals into economic crisis, these and other factors bring urgency to the dialogue. To access updated Irma reports from Cuba and learn more about how to help or donate, please visit the Friends of the Episcopal Church of Cuba website. Our CCN-NA board recently met for the annual board meeting at Virginia Theological Seminary in Alexandria, VA and were able to take part in welcoming VTS into the Cross of Nails as our newest partner. In this inspiring film, all six Canons for Reconciliation since the role began share their thoughts, insights and memories from their time at Coventry, and their hopes for future ministry. 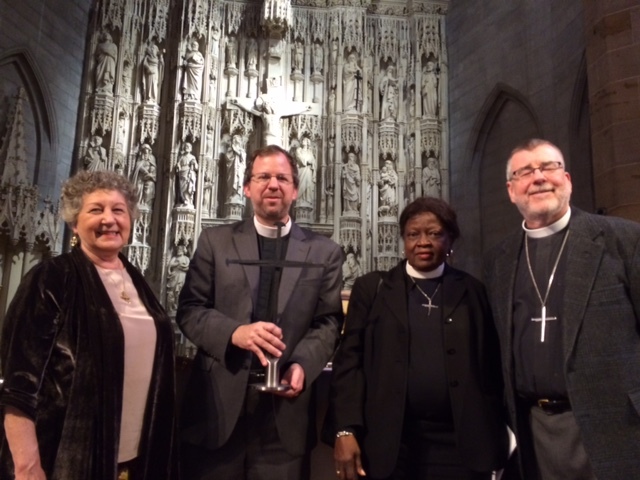 St Mark’s Episcopal Church & School in Palm Beach Gardens, Florida hosted their third annual lecture series on the topic of peace. The yearning for peace is a common call among people, regardless of faith, race, gender, generation, or socio-economic status. The Very Rev. John Witcombe, Dean of Coventry Cathedral, talks about Coventry Cathedral’s mission and vision of reconciliation over revenge after it was destroyed during World War II. For a bio and study questions, go to tinyurl.com/johnwitcombe. I had only traveled to St. Louis once before this past weekend. What brought me to this gateway city this time was my role as president of the Community of the Cross of Nails in North America — part of a worldwide network of individuals and churches inspired by the Coventry Cathedral (England) message of forgiveness and commitment to the ministry of reconciliation. 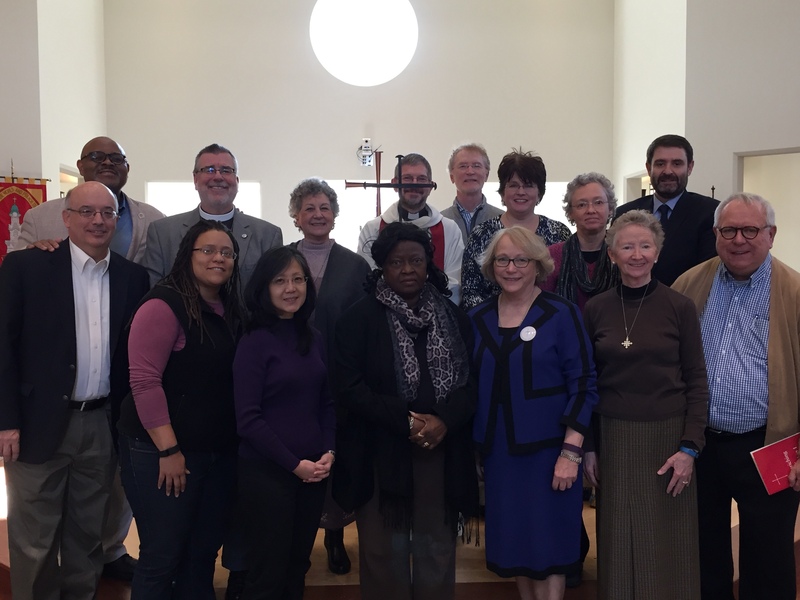 Members of the board met in St. Louis the weekend of Nov. 13-15, 2015 to encourage the ongoing ministry of Christ Church Cathedral and its dean the Very Rev. Mike Kinman. The Cathedral has been a place of welcome and support to those involved in the peaceful protests after the civil unrest in nearby Ferguson, Missouri that followed the shooting death of Mike Brown by a police officer in the summer of 2014. In addition, when black churches began to be targeted by arson in and around Ferguson, the Cathedral led an effort to raise $700,000 from 300 Christian, Jewish and Muslim congregations around the country to help the burned churches rebuild. Board members traveled to Ferguson to learn about the Black Lives Matter movement. What many of us know and think about this movement that began as #BlackLivesMatter on Twitter reflects in many way our own background, age, color and politics. What I wanted to learn was why the often expressed rejoinder to “Black Lives Matter,” namely “All Lives Matter,” stuck such a cord of disconnect with many activists. What seemed clearer to me was that yes, all lives do matter, but the pain and oppression that is being expressed in the Black Lives Matter movement is a unique cry of a broken society. In our inner cities especially when black boys and men come into contact with the authorities and come out on the losing end of the encounter, it can and does seem to them that their lives mean next to nothing. I get that. We visited and stood outside the well funded and fortified Ferguson Police Department — site of much of the marches and vigils. Like many smaller cities, more and more tax revenue had shifted towards fines and penalties, and subsequent jail time for those unable to pay. This widespread practice has led to growing resentment and a growing divide between the police and the local poluation. We also gathered for conversation and a good lunch in a local black-owned business that was one of the few restaurants to remain open throughout the protests and violence of last year. We went to the street in Ferguson where Mike Brown was shot and later died. It felt like a pilgrimage, as we were not to litigate the case or to stand in judgment. We were there to be reminded that his lifeless body was left for four hours to bleed out onto the hard street before it was finally removed. To many who watched on that hot summer day, it seemed that his life mattered little. But it mattered to his family. It mattered to him. His life should have mattered more to all of us. As we were ready to leave, the dean led us in silent prayer, and seconds after we responded “Father Forgive” the silence was interrupted by gunshots fifty yards away. We could see and hear cars fleeing the scene as some young people ran away by foot. Once we realized it was gunfire and not firecrackers, the group quickly moved behind the apartment building and soon got into our cars a left the area, making sure we drove by and scene to see if there had been injuries or even worse. Silence and prayer gave way to the shots of violence. 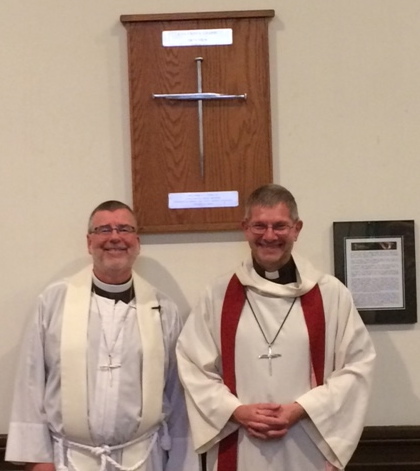 After a beautiful liturgy in the Cathedral Sunday morning when we presented a Cross of Nails at the altar to the Wardens and Dean, we departed St. Louis with a greater appreciation for the racial reconciliation witness and ministry of our newest CCN partner. Our prayer and hope is that their story will inspire and motivate others in this worldwide network. It certainly inspired me. 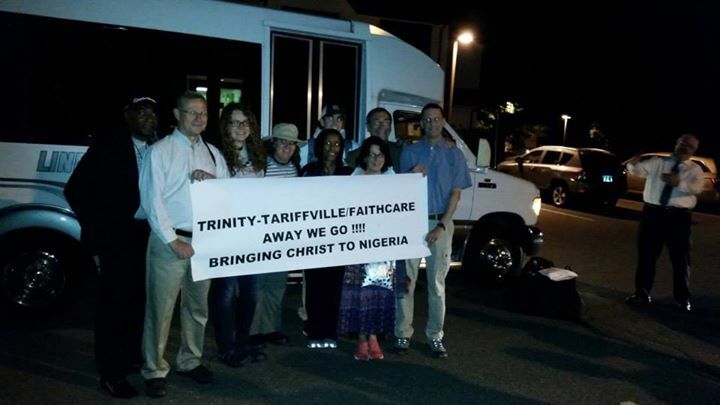 Tariffville, CT – Trinity Episcopal Church of Tariffville, CT and Kateri Medical Services, Inc. will receive a Cross of Nails for Reconciliation Work in Nigeria. 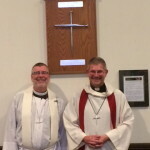 On Sunday, May 31, 2015 The Very Revd John Witcombe, Dean of Coventry Cathedral, England will present the Cross at a special worship service in Tairiffville. 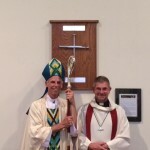 Dean Whticombe represents the international Community of the Cross of Nails. Since 2002, Trinity has worked in partnership with the Diocese of Kaduna, Anglican Church of Nigeria to fund and facilitate basic, decent and affordable medical care for the rural poor in Nigeria and to build bridges of reconciliation between Muslims and Christians. Kateri Medical Services, Inc is a 501c3 corporation founded by Trinity to advance the work of medical missions in rural Nigeria. Kateri Medical Services has a threefold goal in their regular, year round clinic: 1) to demonstrate the love of God through medical care, 2) to minister to the spiritual as well as physical needs of people, 3) to foster social healing and reconciliation between Christians and Muslims. Beginning in 2008, a three-way partnership was begun between Trinity, Kaduna diocese and FaithCare, a faith-based medical outreach ministry based in Farmington, Connecticut which enabled annual intensive medical missions of two weeks duration. During these missions, around 6,000 people are served with a full range of medical care, including eye care, dental care, basic medical care and surgeries. In addition to medical care, each participant has an opportunity for prayer and spiritual counseling. 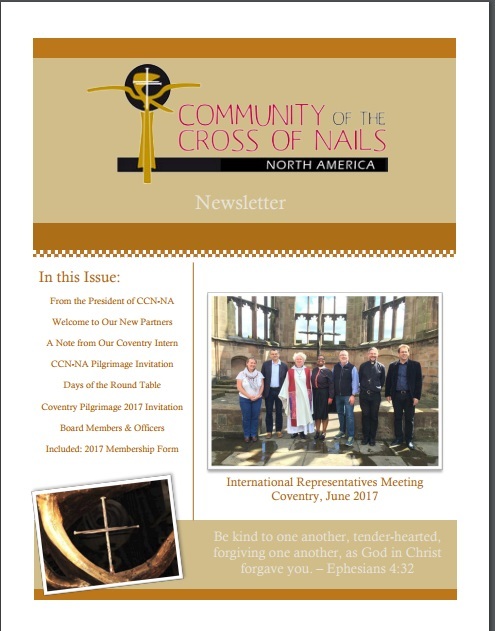 The Community of the Cross of Nails (CCN) is an international, ecumenical fellowship of individuals and groups who are committed to the ministry of reconciliation. This means reconciliation with oneself, one’s family, the local community, the worldwide community, and God. The goal of the CCN is to bear witness to the power of forgiveness, to build new life out of the world’s brokenness. Partner groups or organizations are presented with a Cross of Nails when they are welcomed into the community. 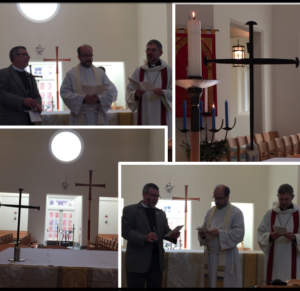 “ We are delighted to welcome Trinity Church in Tariffville and Kateri Medical Services into CCN. We recognize and commend the great work of they are doing to bring medical care to some of the poorest people on earth and to foster reconciliation between Christians and Muslims in a very troubled part of the world. Their work is a shining example of the kind of ministry that CCN is doing all over the world. The side chapel in the South Transept of Christ Church Cathedral in Springfield, MA was renamed and rededicated on May 30, 2015. The Very Reverend John Witcombe, Dean of Coventry Cathedral, England and The Rt. Rev. 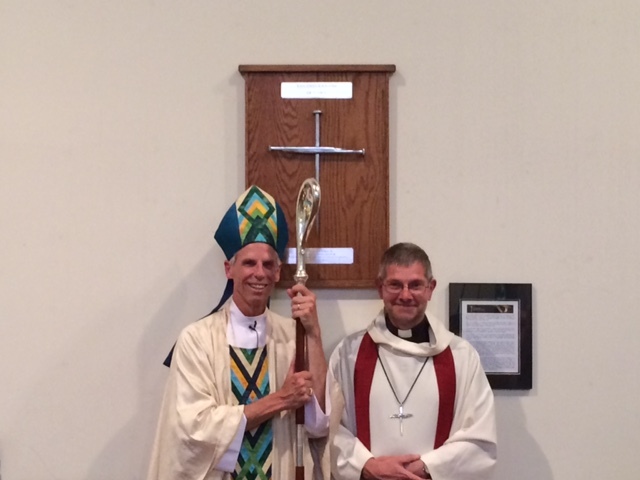 Dr. Douglas Fisher, Bishop of the Diocese of Western Massachusetts, were present at the service. 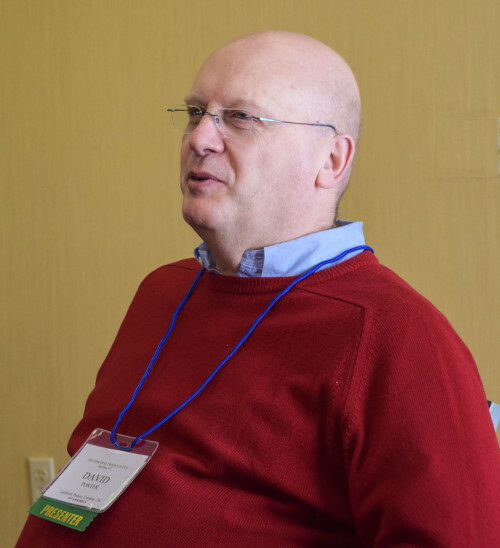 It was a historically significant moment for Christ Church Cathedral, and was an opportunity for the diocese to recommit themselves to the ministry of reconciliation. Canon David Porter Shares Lessons Learned About Reconciliation Episcopal News Service recently interviewed Canon David Porter where he shares lessons he has learned about reconciliation. We invite you to read his article on Episcopal News Service. Watch this video from our partners at St Mark’s Episcopal Church in Florida. Statement by the Episcopal Church of Cuba regarding today’s events. For the Cuban people, today’s events hold great meaning for our future. The steps taken today between the governments of Cuba and the United States, by announcing the re-establishing of diplomatic relations and, in consequence, to proceed with the release from prison of the three Cuban compatriots, and the USA citizen Alan Gross, among others, put in evidence that dialogue, the will for mutual understanding and respect even in the midst of great differences, are basic elements for the relationships between peoples and governments. We give thanks to God for the return of them all to their families and countries, as well as for the recognition of putting an end to the breakup and to create great possibilities for understanding and respect in relations. We give thanks to God for the bridges of hope that churches in both the United States of America and Cuba have affirmed for several decades now, even in politically difficult moments. Especially, we give thanks for the Episcopal Church in the United States which, through many different means (travel, exchanges and advocacy) has accompanied our Church and, therefore, has accompanied our Cuban people. We ask God that the Holy Spirit will guide the political leadership both in Cuba and the United States towards making wise decisions. That it will bring light to the new times and challenges for the Cuban people. That this same Spirit will allow us to rebuild, even within differences, peace and understanding between our two peoples, and to affirm our commitment to defend truth, justice and peace, which come from the incommensurable love of the Triune God. The feast of Christmas, which we will soon be celebrating, is the project of incarnated love, which becomes a contextual reality today. Jesus is born so reconciliation and peace may come to the lives of women and men, of families and communities, of peoples and nations. May the light of Christmas be a source of blessing for both our peoples. It has almost been 6 months since I first began at Coventry and I can hardly believe it. My journey so far has been beyond words, and I can’t believe I only have 6 months left. In these six months I have learned more about myself, life, and the purpose of reconciliation than I could have ever imagined. I am the intern designated for the Coventry Cathedral Memorial Ruins. The Cathedral has rededicated the ruins to commemorate all who have been killed, injured, or traumatized by conflict and war worldwide. As a part of this project, I get to work with the World Monument’s Fund Britain and their effort to help us conserve and manage the ruins, Coventry’s medieval glass, and the Cathedral at large. It also means I get to help Canon David Porter fundraise for a statue by John Bridgeman entitled ‘Seeking Sanctuary,’ which we would like to place just outside the Cathedral’s ruins to commemorate all those who have become refugees as a result of war and violent conflict. Finally, as a part of this project, I seek to raise awareness of the current issues surrounding war and violent conflict worldwide and the effect this has on civilian populations. You can follow this project on Facebook (Coventry Cathedral Memorial Ruins) and on Twitter (CovCMR). My time, however, is not solely spent on the Memorial Ruins project. I also act as David Porter’s personal assistant some of the time, and I get to help plan for major conferences hosted by the Cathedral. 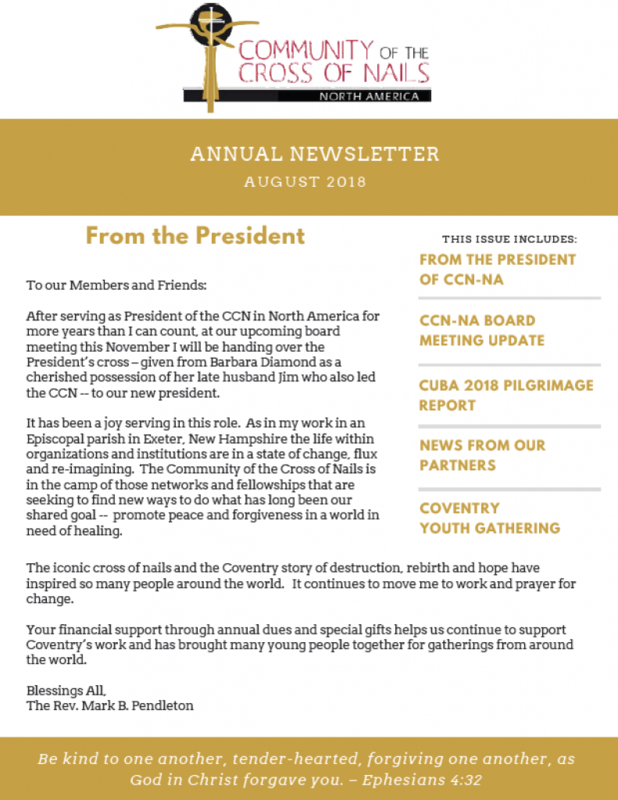 For instance, I had the opportunity to help plan the CCN International Gathering in September and, although we had been here a little over a month by the time it started, we had the best time planning it. We learned more about the Cathedral and how it works in those few short weeks than we could have ever imagined. The CCN Gathering prepared us for our next big task, the Faith in Conflict conference, which I am now helping Sam, our British intern, plan. We have about 200 participants signed up for the conference, and we have speakers including The Revd Dr Jo Bailey Wells, The Revd Dr Sam Wells, and Archbishop of Canterbury, The Most Revd Justin Welby. Planning conferences is probably my favorite part of working at the Cathedral because we, as the Reconciliation Ministry Team, get the opportunity to really work with everyone who works in the Cathedral. The three of us (Sam-from the UK, Ortrun-from Germany, and myself) have gotten in to a pretty good routine. We begin everyday with Morning Prayer and then make our way to the offices for work. Generally we try to eat together during lunch before we go back to the offices for the afternoon, and most nights we eat dinner together. Although, between our fire alarm which goes off at the slightest bit of heat and my somewhat lacking cooking abilities, our meals at the beginning were rather interesting but always comical. We have a great community here with a few others from the Cathedral we generally get together with. The Cathedral community at large has been a huge blessing, and I feel as if I am part of a large, loving, and supportive family. Some of the highlights from our time together have been the traditional Southern Thanksgiving meal we had together in November and the traditional English Christmas meal we shared before Christmas. We have also started an ‘Ordained Ministry Explored’ group for those thinking of entering ordained ministry in Coventry, and that group has been incredibly helpful thus far. Our small community is always eating together, meeting each other for a quick chat at the pub, or just watching a movie after work. I am so thankful for the time I have had with all of the people here, and I cannot imagine having to leave. The last six months have been absolutely wonderful. I have learned more about my strengths and weaknesses, I have been given the opportunity to accomplish tasks I would never have thought I could accomplish (such as public speaking), but, most importantly, my time here has showed me just how much I love the Church and the work of the Church. After being here sixth months, I have finally answered the call to begin the discernment process with the Episcopal Church in the hopes of being recommended for ordained ministry, and I know I have my time at Coventry to thank for that. I am so grateful for the opportunities I have been given here, and I know that I will always think back on this time as one that changed and shaped who I am for the better. Thank you so much for making this internship a possibility. Recently, I returned from Dresden, Germany after attending the Peace Academy. Before I arrived in Dresden I spent a few days in Berlin, where I first encountered the Cross of Nails at the Kaiser Wilhelm Memorial Church in the center of old West Berlin. Personally, I felt the symbol was a constant reminder of why I wanted to come to Germany in the first place; in order to achieve peace, in my mind, you must also explore reconciliation, and that was one of my greatest goals prior to attending the academy. I saw the cross three more times in three different churches, but perhaps the most spectacular experience of the whole trip happened on the first day of the peace conference. Day 1 of the peace academy was dedicated to the arrival of youth (age 17-26) from all over the world. Sitting in the center of the Frauenkirche or Church of My Lady, we gathered together in song, focused on the large Cross of Nails that stood on the alter table under one of the most intricate and elaborate alters I had ever seen. The church seamed so extravagant… until you discovered the story behind its construction… or rather, its reconstruction. Like many churches in Germany, theFrauenkirche was bombed near the end of World War II in February of 1943, but the survivors never lost hope. That is why, in that first moment of the conference, we knew we had all come to the right place. 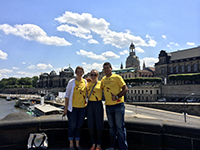 Dresden gave us a real shot at exploring peace and taught us how we can all be peacemakers in our own countries. The church was a standing example of reconciliation as it was rebuilt exactly as it stood prior to the war, and we were in the center of its beauty. That is when I knew that this is where I could find peace. I have always constantly wondered if peace was actually possible. I have always found it hard to watch the news because it only showed the bad things taking place in the world and in my community. I would watch it and lose hope in anyone’s ability to actually achieve peace. But finally, the peace academy showed me that we should never forget to see the good in our world. Centered in my faith, I was able to picture a world where all of us were peacemakers. I thank God, the academy, and Dresden for leaving me with such an empowering image that will forever be engraved in my mind. The Archbishop of Canterbury, Justin Welby, is delighted to announce the appointment of Canon David Porter as Director for Reconciliation at Lambeth Palace. For those among the 80 participants at the International Gathering in Coventry in September there was a sense that we, as the Community of the Cross of Nails, were moving into a new phase of our witness. In many ways this whole “Cross of Nails thing” is a bit odd to describe to those who are unfamiliar with its history and purpose. What is it about? What is so special? Aren’t all Christians called to reconciliation and forgiveness and what is so different about the Coventry way? After a few days spent praying, talking, sharing meals and good pint of English ale with people from Cuba, Poland, Romania, Holland, India, Germany and fellow Americans, the only answer I can give is: people. For over 70 years the story of Coventry and the subsequent CCN network works because it inspires. We are not bound together by doctrine, shared church polity or even politics. Each one of us has felt touched and impacted on the need to enter into difficult situations and not seek the least common denominator of human response but instead to aim and reach higher. In each and every local context from which we came there is an urgent need to find common ground, to work for peace and to learn from past conflicts and heal the wounds of history. Belonging the Community of the Cross of Nails allows us all to support a network of Christians finding new ways to embody the legacy of the Coventry message in our local context. We continue to support our year-long intern in Coventry. We continue to look for ways to bring young people together for conversations. We continue to remake this organization for a new time. Please make a gift today to CCN-North America. If you’re not a member, please consider joining. Click here for more information. Read the entire New York Daily News article here. The Rev. 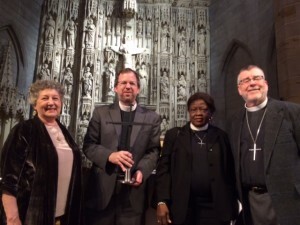 James Cooper is rector of Trinity Wall Street, a CCN Partner. On July 3 of 2012, I flew to England to attend the annual Community of the Cross of Nails (CCN) International Youth Gathering. The program brought together more than 25 young adults from different parts of the world. We embarked on a five-day journey that would encourage “Peace Building and Reconciliation.” Shortly after my arrival, I was greeted by three wonderful interns (Carrie Staab, Kat Brealey and Felicitas Weileder) who helped guide me. It was exciting to discover that the Community of the Cross of Nails has worldwide associations. I met people from Poland, Belarus, Germany, Israel, Cuba, South Africa, and many more places. During the program, we attended workshops on peace, cultures, diversity, gender issues, equality, and political issues. We worked in teams to try and offer solutions to these issues that are affecting our world today. This journey to Coventry is an experience I will always carry in my heart. Not only did I learn about different religions and cultures but I also learned the importance of forgiving and creating peace within ourselves and everyone around us in order to create a peaceful world. I established ties with people from all parts of the world, especially with two young people from Cuba, Yannel and Yenly. 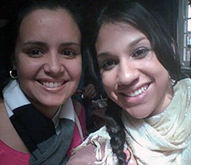 Gabriela Yambo is member of St. James Episcopal Church in Hartford, Connecticut, USA. Her trip to the youth conference was sponsored by CCN-North America, who also sponsored Yannel Melo and Yenly Morrero from Cuba. “Reconciliation does not happen unless we learn to see differently. We all know how pain, injury and humiliation affect our seeing – as if we were locked in darkness; as if we could only see ourselves and our past and our experiences in our own terms, in our own light, as we sometimes say. To be reconciled is to be able to see the other freshly and clearly – to see the person we thought a stranger or an enemy, and to see ourselves afresh. To see the past differently, and to see that there is a future….” Read or listen to the sermon here. From the Diocese of Southern Ohio, a resolution honoring the ministry of former CNN President James Diamond. The full resolution is here. From the convocation address of Archbishop Robin Eames (now retired) at Virginia Theological Seminary in 2005. Eames spoke on the theme of reconciliation, which he pronounced the calling of our generation. The Archbishop of Canterbury, Dr. Rowan Williams, talks about September 11 when he was in a building just 100 yards from the Twin Towers during the terrorist attacks in the United States. An interview with Aled Jones for ‘Songs of Praise’, first broadcast 7th March 2010 on BBC2.